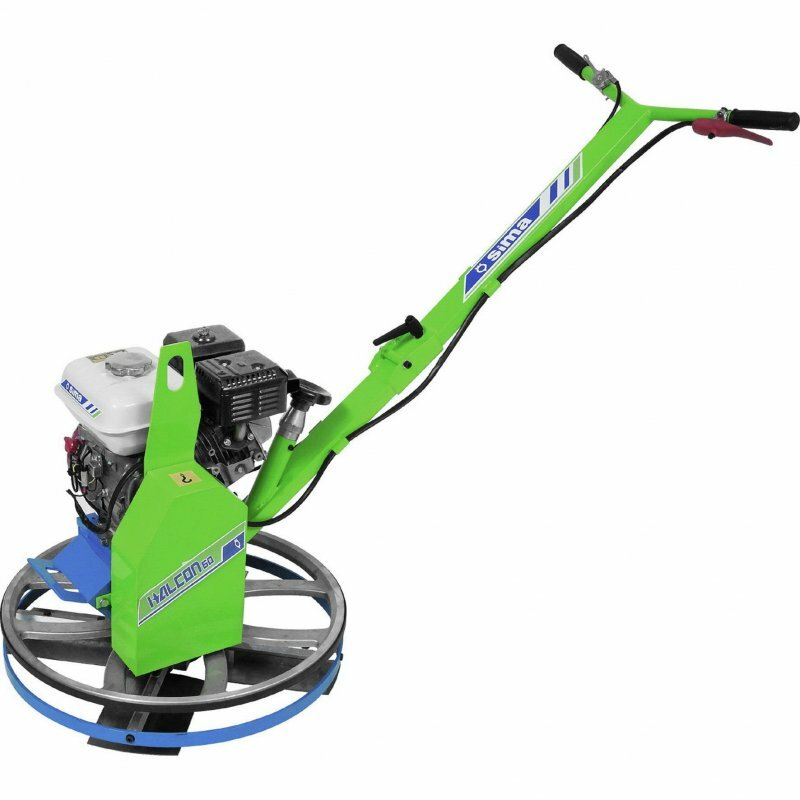 This Power Trowel edger has been specially designed for trowelling small surfaces as well as for finishing floor edges (walls,around columns, etc). Chromium plated centrifugal clutch, ensuring the highest performance at high, medium and low engine revs. Emergency stop system (“dead-man release handle”), in accordance with EC safety regulations. HALCON 95 and HALCON 125 are the only two models in the market including a water tank controlled from the handlebar to sprinkle water into concrete when needed. Easy and accessible blades pitch regulation. Water tank with submersible pump to sprinkle water. Safety handles for emergency stop. 23 Hp Honda motor with battery and electric starter.